This weekend, about 30 scholars are traveling to St Louis from across the country to discuss my book manuscript on the Genealogical Adam and Eve. Two international scholars, John Garvey and Andrew Loke, will not be in attendance, even though they are are also writing books on the Genealogical Adam and Eve. Their unfortunate absence, nonetheless, is a good opportunity to remember some of the story that brought us here, and the many people that have helped us along. Jon Garvey has been part of the conversation for much longer than me, and might have credit for being the first theologian to engage with genealogical science. Here is how he tells the story, and explains why the time has come for this idea. Most new ideas turn out to be old ideas whose time has come, or even ideas that have returned after a long absence. I explored an example of the first in a blog post, describing how Empodocles (c. 450 BCE) was the first to name “air” as a material substance after finding that a bucket inverted in water retained a pocket of air. Such a phenomenon must have been seen for millennia before, but not interpreted as significant. Genealogical Adam did not have to wait so long to be seen as important, but its seeds have certainly been around for a long time. There is a longstanding party conversation-piece in Britain, to the effect that everyone in Europe is descended from Charlemagne, Holy Roman Emperor from 800 CE. Why he is singled out I don’t know – he had about twenty children, which isn’t unusually large for a polygamous king. But the party spiel reminds us that our ancestors double with each generation, giving each of us around a thousand ancestors in the tenth generation and a million in the twentieth. With around fifty generations separating us from Charlemagne, there are a quadrillion ancestors from that time, which is clearly absurd—until one remembers how most of those ancestors must be shared. And some of those ancestors will, inevitably, be ancestors of everyone in Europe. Genealogy is more like a pudding being stirred than a tree growing and branching. In 2002 a freelance writer, Steve Olson, published a trade book called Mapping Human History, which I bought when browsing my local bookshop because it described some findings from the new studies of genetics across human populations. It was a good source to understand “Y-chromosome Adam” and “Mitochondrial Eve.” It also contained intriguing studies like those showing the prevalence of a particular Y-chromosome type among Jewish Cohens—the descendants of priests, and (in a majority of cases) of one male ancestor in the late second millennium BCE, according to the genetic divergence. But Olson’s primary interest was in stiffening up the “Charlemagne scenario” to suggest that pervasive genetic mixing renders the whole idea of pure “races”—and major ethnic differences—obsolete and purely cultural, not biological. In fact, he claimed that it was likely that humanity’s most recent ancestor lived just two or three thousand years ago. Many geneticists dismissed this as an absurdly low figure, thinking more in terms of the six-figure numbers of “Y-Adam” and “Mito-Eve.” But Olson then took the initiative of enlisting a software engineer, Douglas Rohde, and a statistician, Joseph Chang, to run detailed computer simulations. This resulted in two papers, one of which appeared in Nature in 2004, demonstrating that Olson’s intuition was correct. Using virtually any reasonable input for population movements and growth, the papers showed that our probable most recent genealogical ancestor lived two to three thousand years ago—and even more strikingly—that anyone living more than five to six thousand years ago, who has left any descendants at all, is a common ancestor for the whole human race. If like me, you have five grandchildren, it is “virtually guaranteed” that you will be an ancestor to everyone living two to three thousand years from now. While I nodded approvingly at Olson’s demolition of any rational justification for racism, I thought nothing about any theological implications when I read his paperback, even though the catchy subtitle was “Unravelling the Mystery of Adam and Eve.” But somebody else was more perceptive. David Opderbeck presciently recognized the importance of genealogical ancestry in 2010. …it seems to me that it could preserve Paul’s federal theology and provides [sic.] a plausible, even Augustinian, mechanism for the propagation of original sin. This viewpoint seemed to me to tick many boxes in the origins debate, and that November I wrote my first study paper on it (for my own use), and aired it in several discussions at BioLogos. But it usually engendered little interest there, though one significant scientist expressing openness to the idea at this stage was Steve Schaffner. In fact, a year or so after the Opderbeck piece, the then BioLogos President Darrel Falk was lambasted merely for giving a voice to those (in Falk’s words) “few theologians” holding “the view that Adam and Eve were real historical individuals, but not the sole genetic progenitors of humankind.” Falk, following his departure from BioLogos, has subsequently spoken in support of Genealogical Adam. BioLogos went on to make a firm commitment that an historical Adam and Eve, as ancestors of the whole present human race, was an impossibility on scientific grounds, though drawing back from that position more recently in the light of Swamidass’s work. Individuals at BioLogos, like Kathryn Applegate, have also expressed personal support for a historical Adam arising within an existing population. A couple of scholars who did support Opderbeck’s idea, or something similar, faced whispers of racism, despite the fact that (as first suggested by Steve Olson) the very purpose of “genealogical common ancestors” was to exclude racism. It is true that Genealogical Adam implies some kind of distinction between Adam and those outside the garden, and the gradual merging of those distinctions through interbreeding as Adam’s genealogical descendants spread across the world. But I began to sense that the Bible actually supports such an interpretation. An untenured (at the time) computational biologist bursting on to the scene. In 2016, computational biologist S. Joshua Swamidass burst upon the origins scene, engaging with both Intelligent Design groups and BioLogos, largely opposing the former but propounding the kind of providentially orthodox understanding of theistic evolution I had been defending for several years. Within a short time he was seeking to bring the various factions into discussion, an effort that eventually culminated in Peaceful Science. But in April 2017 he started a BioLogos thread about his own recent acquaintance with what came to be known as Genealogical Adam, and was surprised that one or two of us had already been thinking and writing about it for a while. In his hands, it would appear, Genealogical Adam’s “time had come;” because of Swamidass’s knowledge of population genetics and computer modeling, his enthusiasm for the idea, and his gift for networking. His best articles about Genealogical Adam are to be found on the Peaceful Science website, and he is currently preparing a book to be published by InterVarsity Press. The greatest values of Joshua’s work has first been to put the theory on an established scientific footing, with obvious import for scientists—both theistic and otherwise—and second encourage those of us interested to develop its implications for theology. At this point I should add a couple of other factors which make Genealogical Adam an “idea whose time has come.” One is the trickle of thinkers propounding a “Homo divinus” model, in which Adam is selected from an existing population and somehow specially endowed for relationship with God (perhaps with the divine image, or in some other way). Derek Kidner proposed the germ of such an idea from within conservative Evangelicalism in his 1967 Genesis commentary. Andrew Alexander developed a similar idea, which was restated by Catholic scholar Kenneth Kemp in 2011, and supported by analytical Thomist scholar Ed Feser. However, without invoking genealogical science, these schemes all tend to fall foul of problems like an extremely ancient (and so primitive and prehistorical) Adam, genetic contradictions, and so on. Still, they have been rendered more plausible because of strong recent trends in OT theology, suggesting that the biblical authors identify the divine image more with vocation to a task than with specific attributes like rationality or biological form, the emphases of traditional theology. A further, related, factor opening the way to Genealogical Adam is the renewed interest in biblical theology, particularly in Evangelicalism, arising from the collapse of the source-critical consensus in recent decades. To put it crudely, academics have become less obsessed with how the Bible evolved, and more interested in what it says, leading to the exploration of its overarching historical narrative by many scholars. This makes finding the place of Genesis within history a necessary task. If Christians are to understand their significance as participants in a historical process governed by Christ, then the beginning of that history is as crucial as its culmination in the Incarnation. 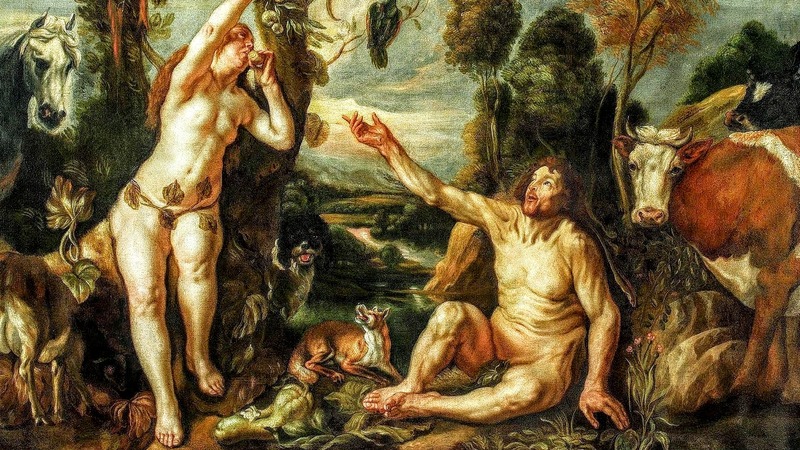 Genealogical Adam is probably best viewed as a paradigm, rather than as a specific theory. Swamidass has his own theological viewpoint understanding, but also presents examples of how those with other theological understandings might approach it. As Opderbeck’s original article suggested, it is compatible with an Augustinian understanding of original sin—but it does not entail it. Likewise, it is entirely compatible with the special creation of Adam and Eve. Further, for those who wish to see a greater biological continuity between Adam’s line and his predecessors: that too is possible. In the end, it enables the traditional doctrines associated with Adam both in Scripture and in historical theology to remain intact, whilst leaving no quarrel with “secular” findings on history and archaeology—nor even with various evolutionary understandings of creation. For my own part, having been persuaded that my “pet theory” was actually a worthwhile research project, my interest since 2017 has largely been in exploring to what extent Scripture itself might endorse it. This is not as absurd as it might seem. Concordist schemes seeking to show that, for example, the writer of Genesis had knowledge of modern science are doomed to failure. But if Genealogical Adam is true, then Genesis may be about relatively recent history in a real tradition arising from the events themselves. If so, the Bible writers might be expected to be well aware that other lines than Adam’s had existed—and I believe there is some evidence they did. In fact, Genealogical Adam may well be an example of the second kind of idea I mentioned in my introduction—one which was once well known, but eclipsed for a time. In this case, the eclipse partly has to do with the way our modern thinking on ancestry has become conditioned by genetics. The rejection of a historical first couple by many Evolutionary Creationists is based on its apparent scientific impossibility (from which allegorical readings follow by necessity), and on seeing inherited sin as necessarily genetic—and therefore implausible (and in need of doctrinal revision). But the discovery of genealogical science is, in reality, only a rediscovery of what ancient peoples knew from experiencing life in a relational, rather than a materialistic, way. We are only beginning to scratch the surface of such an understanding in our presentations of Genealogical Adam.